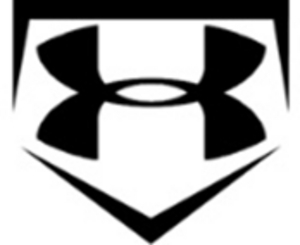 The Keystone State Bombers make their home at Keystone State Baseball & Softball Academy located in Manheim, PA. Our teams participate in tournaments and showcases all along the Eastern sea board, exposing players to some of the best competition around. 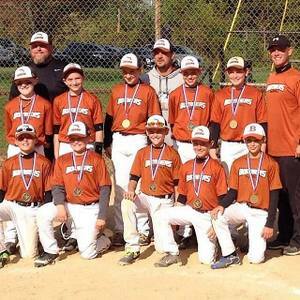 The Bombers currently have 6 teams affiliated with the program ranging from 10U to 17U. The purpose of the Bombers program is to assist players that have the ability and the desire to play at the next level in preparing to do so. 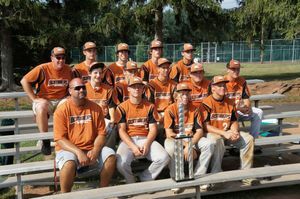 We will utilize a staff of instructors that will teach players how to train for and play at a highly-competitive level. Our program will not only focus on instruction and training of our athletes, but also stress the importance of achieving academic excellence in the classroom. The Keystone State Baseball staff of instructors will assist each team with pre-season preparation in all facets of the game. Our instructors have played in a collegiate program, with some playing in a professional organization. Our coaching staff will share their personal experiences growing up and playing the game, and the importance of their dedication and hard work to achieving success on the field. Also, personal experiences will be shared regarding the importance of academics in having the opportunity to play at the collegiate level. Our teams will have an opportunity to utilize all facilities that our academy has to offer and will be promoted on our Academy website. As an added benefit, Bombers Baseball players will have advanced opportunities for exposure with the Prep Baseball Report office for the states of Pennsylvania and West Virginia now being housed at the Academy. If selected to participate in our travel program, you will be provided with excellent training and instruction. Your obligation will be to work dilligently to become a complete player. + For further information regarding the Keystone State Bombers program please contact our office directly at 717-665-0901. Concussions happen everyday in sports. To help prevent further injury after a concussion we need to know what to look for. It is mandatory that every Keystone State Coach, Instructor, and Staff Member take a Concussion Training Course. You can take this course here. Once you are finished with the Course, you will receive a Certificate of Completion. Please print this and give it to the head coach of your team and make a copy so we can keep it in our files at Keystone State Baseball Academy. Thank you for helping ensure we keep our players as safe as possible! Your child's safety is very important. A concussion is a brain injury and all brain injuries are serious. They are caused by a bump, blow, or jolt to the head, or by a blow to another part of the body with the force transmitted to the head. They can range from mild to severe and can disrupt the way the brain normally works. Even though most concussions are mild, all concussions are potentially serious and may result in complications including prolonged brain damage and death if not recognized and managed properly. You can't see a concussion and most sports concussions occur without loss of conciousness. Signs and symptoms of concussion may show up right after the injury or can take hours or days to fully appear. If your child/player reports any symptoms of concussion, or if you notice the symptoms or signs of concussion yourself, seek medical attention right away. Any athlete, under the age of 18, suspected of suffering a head injury or concussion must be removed from the game or practice immediately. No athlete may return to activity after an apparent head injury or concussion, regardless of how mild it seems or how quickly symptoms clear, without written medical clearance. Written medical clearance must state that the athlete has been evaluated by a qualified, licensed health provider trained in the evaluation and management of a concussion and that the athlete is cleared to resume participation in athletic activities.